Hello there! 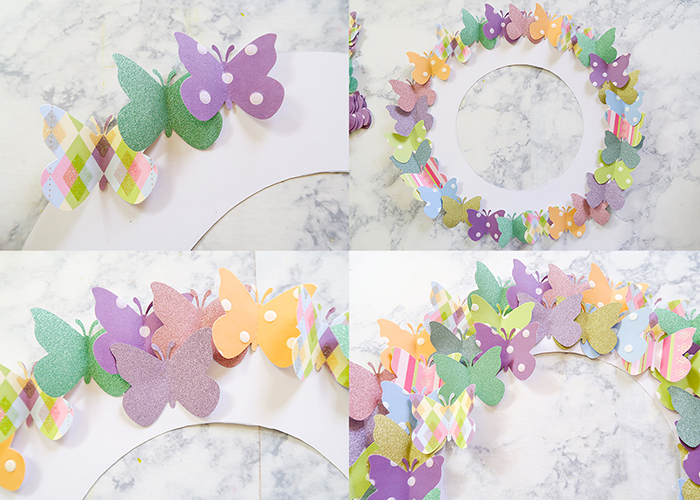 Today I’m going to be teaching you how to make this Easy Spring Butterfly Wreath! 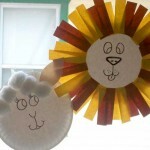 This is such a cute project, and it only takes about an hour to make. Let’s get started! 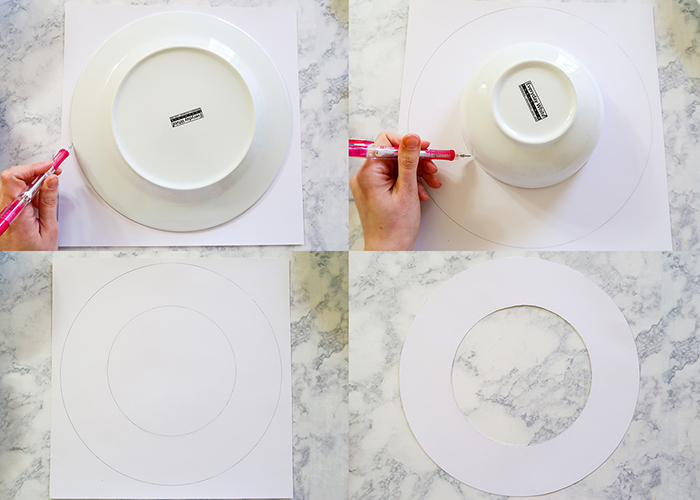 Something to trace large circles with. I used a dinner plate and a salad bowl. 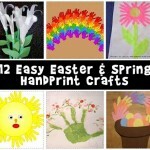 Let’s start out by making our wreath base. 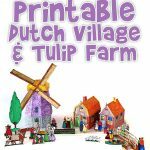 Grab your large 12 x 12 white card stock. 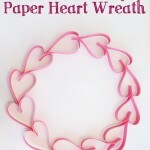 Trace a dinner plate or other large round object to make the outside of your wreath. Then center a smaller object like a salad bowl in the middle of that circle, and trace it to make the inside of your wreath base. You can also use a compass if you have one available. Go ahead and cut out your wreath base. Now, grab your butterfly punch. 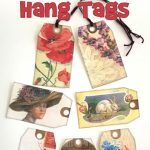 Punches can be expensive, so make sure to find one on sale or use a good coupon and you can get one for less than $10. I’ve had mine for over 7 years and it’s come in handy many times. Gather your papers, and start punching! I ended up punching out way more butterflies than I needed, so I’d start by punching out about 30 butterflies, and make more as you go. 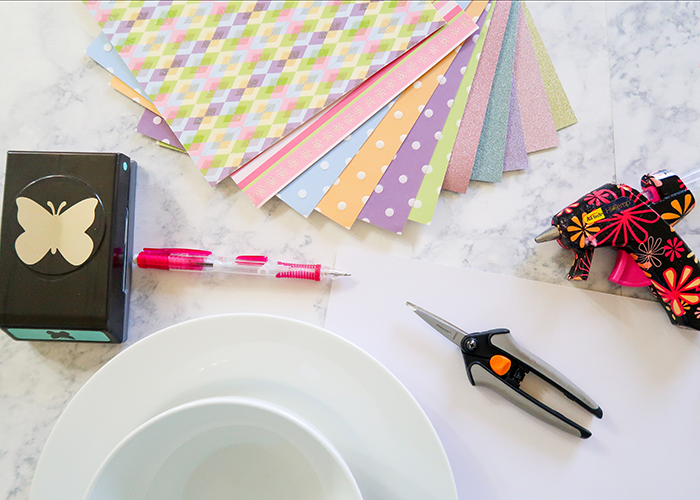 Tip: turn your punch upside down so you can see the pattern of the paper while you punch. 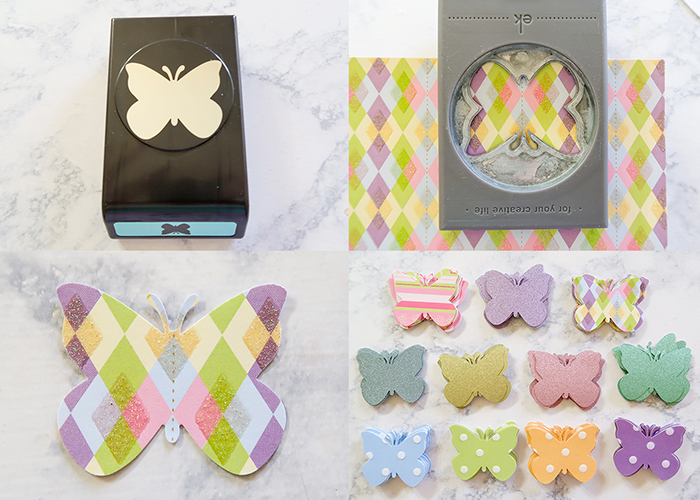 Now take your butterflies, and fold them in half to crease the center. 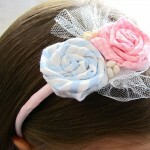 This makes your butterflies look like they’re flying! 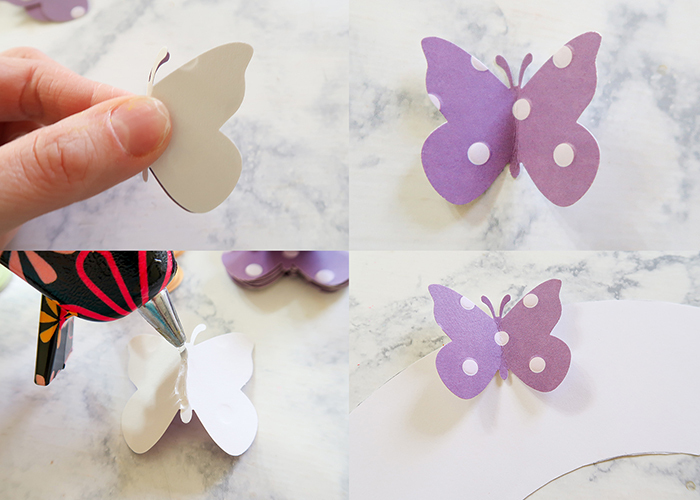 Now, add some hot glue down the center of your butterfly, and glue it onto your wreath base. 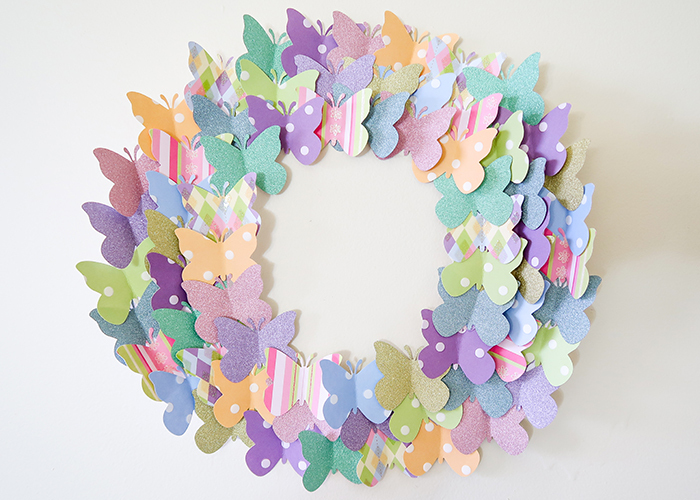 Continue adding butterflies one at a time, overlapping them and going in a circle around your wreath. Then do a second circle inside of that, and if there is still wreath base showing, do a third circle on the inside as well. When you’re all done, no wreath base should be showing at all, and you should have a full circle of pretty butterflies! You’re all done! I hung my wreath up with some clear tape, but you can also use command strips. 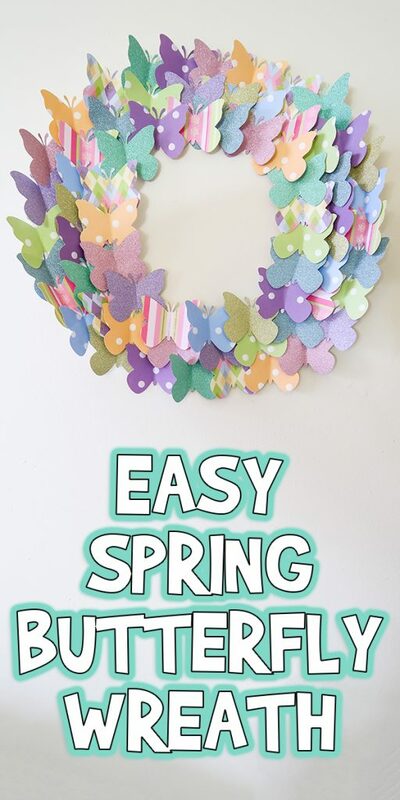 I hope you enjoyed learning how to make this Easy Spring Butterfly Wreath with me!